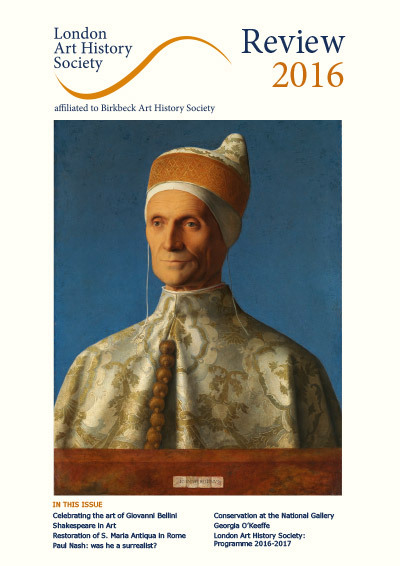 The London Art History Society Review (formerly ULEMHAS Review) is an academic journal providing articles by leading scholars, art historians, gallery curators, lecturers and writers on art history, including painting and the graphic arts, sculpture, architecture, photography, and the decorative arts. It also gives the programme of lectures, short courses, study days and visits, and study trips abroad organised by the Society for the next academic year. The Review is published annually in the late summer. The printed edition is distributed to members (and also held in the Birkbeck Library), while PDF versions of current and past Reviews can be downloaded from this site. A cumulative index to the Review since 2003 is also available. 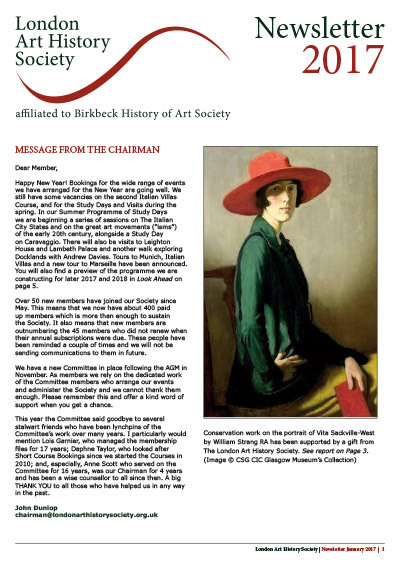 The London Art History Society Newsletter, formerly ULEMHAS Review Two, is our annual bulletin to members, issued at the end of each year. It features Society news, programme updates, accounts of the Society’s activities, and often short papers and reviews.